Educating students from Pre-School to Grade 9, Tuxedo Park School offers a curriculum that is traditional in its roots yet innovative in its approach, designed to spark intellectual curiosity while creating confident young leaders ready to embrace the challenges they will face as citizens of the 21st century. Small by design, the school maintains a low student-teacher ratio. The program includes a purposeful blend of core academics, foreign language, performing and fine arts, athletics, community service, environmental stewardship, and character education. Bus transportation, extended day programs, and tuition assistance are available. We kindle intellectual curiosity and provide pathways to academic growth and success. From early childhood through Freshman Year, we offer small classes that encourage strong academic results. Our student to teacher ratio is 7-to-1, and our standardized test scores regularly surpass independent school norms. 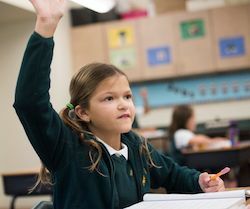 Many of our graduates enter highly competitive boarding and day schools and regularly qualify for advanced standing and honors high school classes. Our challenging curriculum brings out the most in every child. Children learn in different ways at different times. 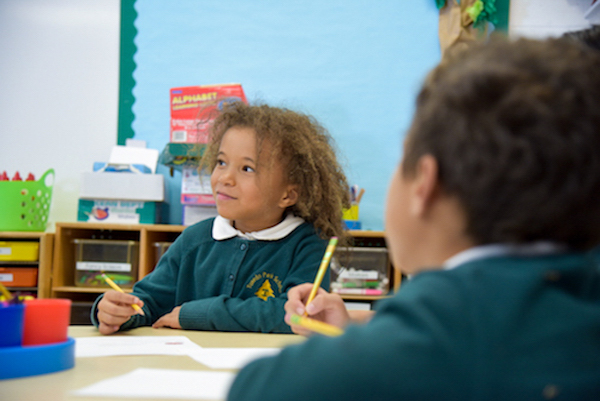 Our talented faculty is adept at challenging each child within the context of a group lesson. We meet children where they are and help them move forward as they are developmentally and academically ready. Dedicated teachers combine proven traditional methods with the latest in technology and innovation. In the same classroom, you will see students building with wooden blocks while others are using iPads to record stories they wrote. Our teachers are experienced educators who are just as comfortable writing on a chalkboard as they are navigating a SmartBoard. 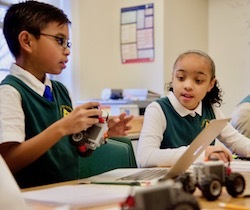 Tuxedo Park School is at the forefront of educational innovation; our classes have been featured in the NAIS Inspiration Lab as examples of inspired learning in independent schools. Before a student can be fully engaged and challenged in learning, a child must feel comfortable. At Tuxedo Park School, every teacher knows every child. Our small classes, family-style lunches, buddy programs, and all-school assemblies ensure that every child at Tuxedo Park School is known well in our community. 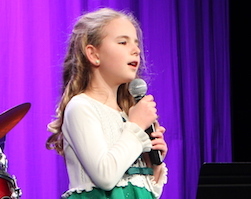 Knowing your child means we can celebrate her individual successes. Children are individuals and should be valued for their unique strengths, gifts, and interests. At TPS, we see each child as an individual; we recognize the scholar, the athlete, the artist, the musician, the dreamer, and the doer that lives in each child. We know where a child started, work with him to set goals for his next steps, and we celebrate his growth and development. A foundation of success empowers children to engage confidently in their larger community. Being known in their classroom, their division, and their school gives children a sense of security; this sense of security fosters an environment where children feel safe taking risks and stepping outside of their comfort zones. Their self-confidence is evident as children become involved in community service projects and begin to see a larger world and their place in it. Good character is developed when children are provided with opportunities to make a positive impact on each other's lives. Small acts reveal big character. Watch our oldest students walk off the bus with our youngest students each morning and share a hug before starting their days. Be greeted at the classroom door by a Student Ambassador who shakes your hand to welcome you and explains what the students are learning. Character development is as important as academic excellence. See our Primary School students share meaningful group experiences during morning meeting each day. 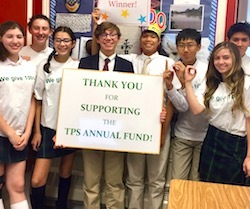 Watch our Middle School students plan service projects to benefit the greater community. Hear our Upper School lacrosse captain read a favorite childhood book to the 3-year old sitting comfortably on his lap. Integrity, perseverance, gratitude, and respect are part of every day. Cheer as our entire student body joins the last student to complete our annual Mile Run competition so they can all cross the finish line together. Read a Primary School Morning Message and see children reflect on ways they can help a friend in need. Watch our students congratulate each other with a line of handshakes, high fives, and hugs at the conclusion of a hard-fought Green and Gold Field Day Competition. Our entire community lives the school's creed, "Be Kind. Be Fair. Be Responsible." In countless small moments throughout each day, our students, faculty, and staff take care of each other and our community. Time spent at Tuxedo Park School breeds character - the kind of character that stays with a child for a lifetime. 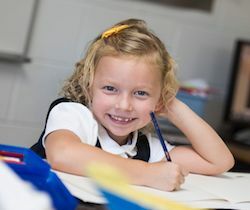 Please continue to explore our website, call us, and come for a tour to learn more about our elementary, middle school, and freshman year programs as well as what our independent private school has to offer. Contact Kristen Heard in our Admissions Office for more information or to schedule a tour today!